-- We had a week of gloriously beautiful weather, with highs in the 80's instead of the 100's! We took full advantage of it, taking a trip to the zoo, riding the horses, practicing soccer, and more. We watched the fireworks in town last night. -- The farrier came and gave the horses a manicure. -- Our neighbor cut our hayfield, and will bale it in round bales. -- Granddaughter and I went on a photo safari at a local wildlife ranch - I'd gone in May, had a wonderful time, and wanted to share the experience with her as well. It was a wonderful day, with perfect weather. Our guide was so good with her, letting her help with various things, and explaining the answers to all of her questions. 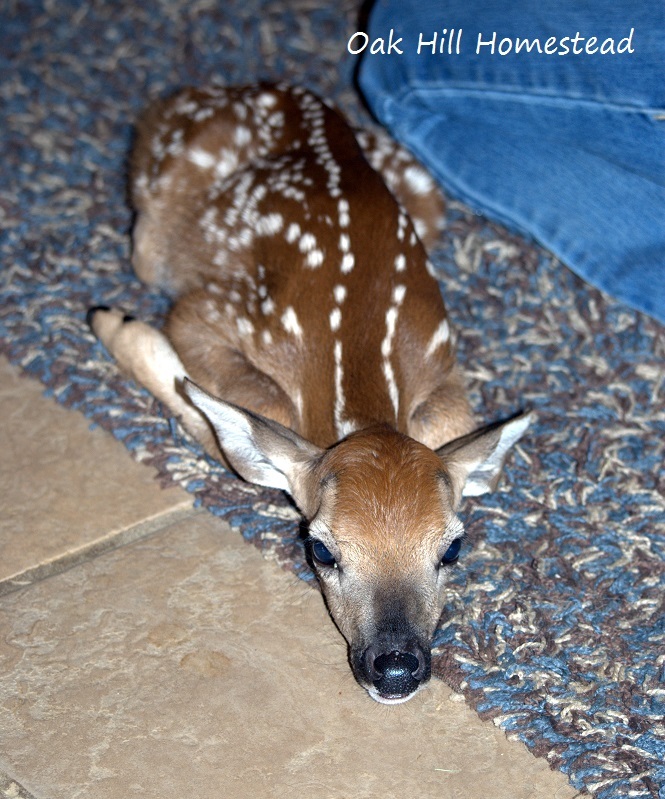 One of the employees had found an abandoned newborn general fallow fawn and brought it to the lodge. My granddaughter was able to hold it, which just made her day. It was a great experience. I would have loved to hold that fawn as well! What a sweetie. Glad you had some nicer weather. Temperatures in the 100s is just too hot! 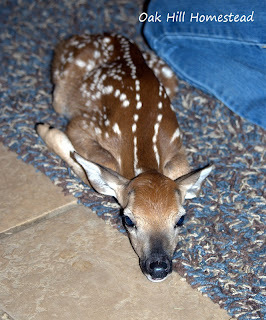 The fawn was so sweet. Very weak though, I hope her condition is better now.